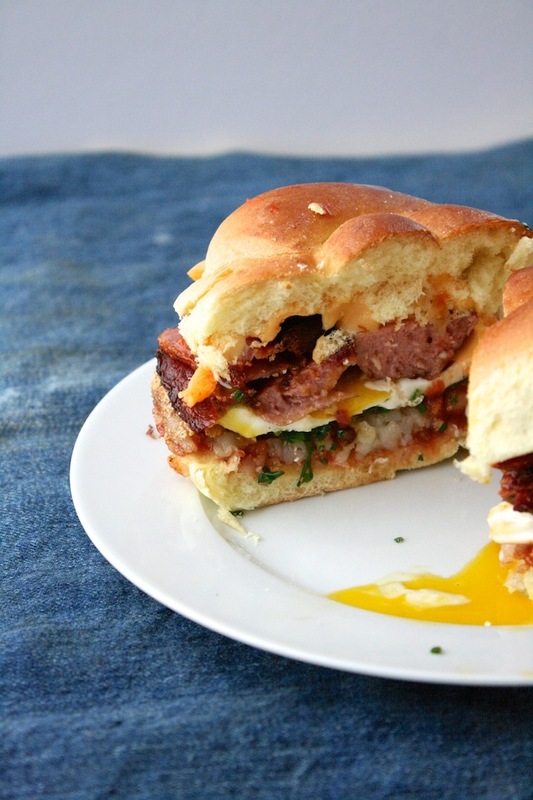 How-To Make: The Perfect NYC Deli Breakfast Sandwich At Home! / Hey, EEP! 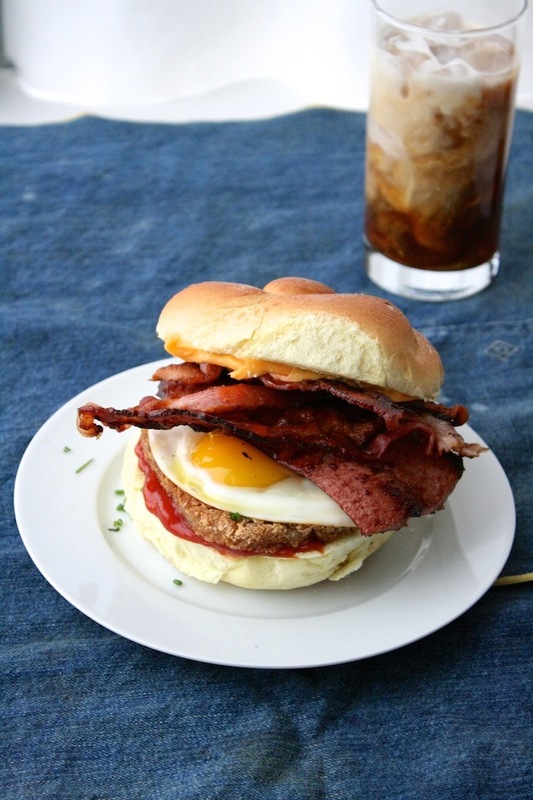 How-To Make: The Perfect NYC Deli Breakfast Sandwich At Home! Good morning, lovely friends. I hope your week's off to a fabulous start—I missed you! You know, one thing I'm already pining after from our trip is eating breakfast with boyfriend every day. It's silly but eating together really does rose-tint the rest of the day for me. Back home I usually have breakfast at the test kitchen (and he usually skips it all together). 1. Put the bacon in a skillet (cast-iron if you have it) and cook on medium heat, flipping once, until crisp, about six minutes. Transfer bacon to a paper towel–lined plate to drain; reserve drippings in the skillet. 2. Return the skillet to medium heat. Add the sausage, flipping once until browned and heated through, about five minutes; transfer to plate. Add the potato patty to the skillet and cook as the label directs; set aside. 3. Heat one teaspoon remaining drippings or olive oil in a small nonstick skillet over medium heat. Crack the egg into a small cup, then slide into the skillet and cook until whites begin to set, about one minute. Cover and cook until whites are firm, about two more minutes. 4. Spread the ketchup on the bottom roll half. Top with the cooked potato patty, chives, fried egg, hot sauce, sausage, bacon, American cheese, and the top roll half. Serve immediately.